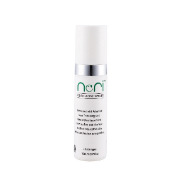 Nori Nano Acne Serum is specially formulated with Advanced Nano Technology and natural plant ingredients from Tea Tree and Aloe Vera. The serum with essential oil from Tea Tree effectively soothes skin redness and reduce acne problem by its high penetration technology into skin without any side effect. In synergy effect with Aloe Vera, it improves skin texture by increase collagen production, skin repairing and instant skin hydration. It also control skin excess sebum or oiliness of skin. Thus, skin becomes smooth and soft. After cleaning your face, spray Nori Nano Acne Serum on the face and dap till the serum fully absorb into the skin. Relax and enjoy the moisturising, refreshing and soothing sensations. Preferably twice a day after cleaning face. Continue usage will prevent acne problem skin.